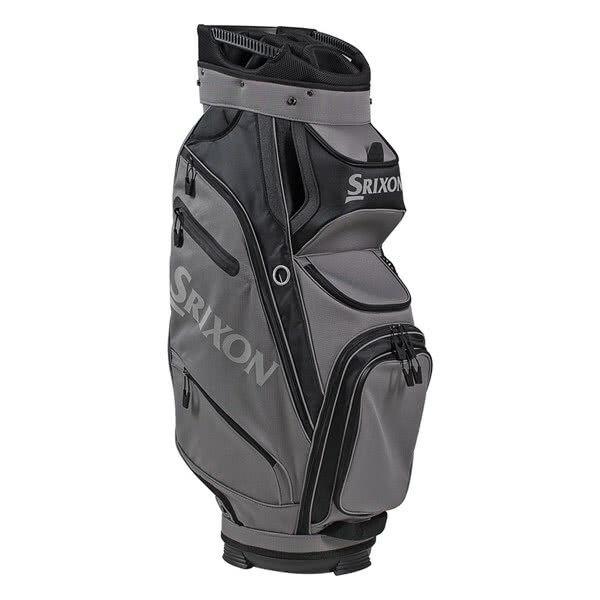 The Srixon Golf Cart Bag has been specifically designed to provide maximum storage and a secure fit on any trolley or cart. An ergonomic shaped base and top unit allow for a secure fit on a trolley. To further enhance the fit Srixon have used a cart strap containment compartment. A spacious 9”, 14-way top features an integrated large putter well and dual grab handles that provide easier lifting and loading. 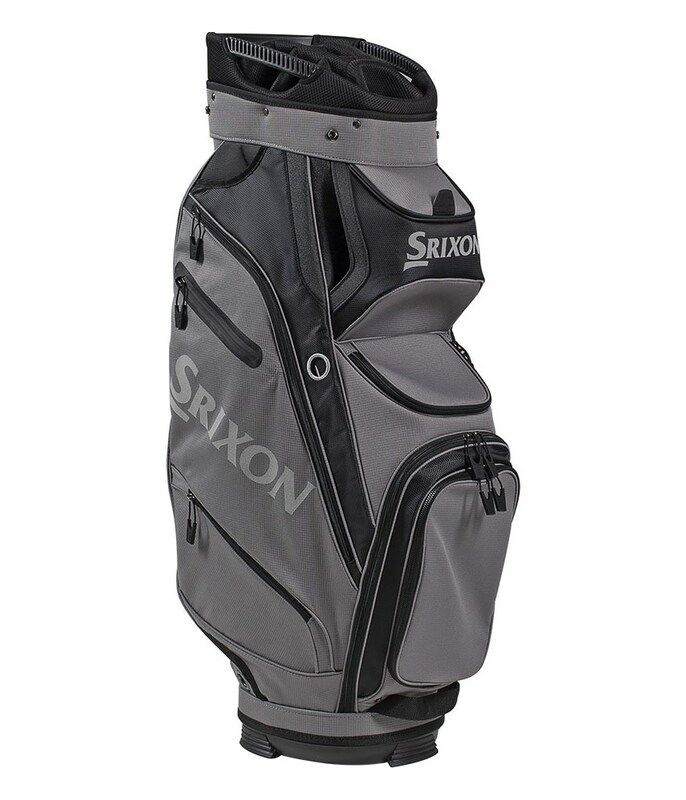 Srixon Golf have used a total of 8 strategically positioned pockets including dual apparel pockets, a water-resistant, lined valuables pocket, a dedicated GPS magnetic pocket and multiple accessory pockets allow you to organise your bag to make sure everything is within arms reach. Other features include an insulated umbrella compartment, a single padded and adjustable strap and a detachable ball pocket for customisation.